NECN CEO Corner – Let it Rip! 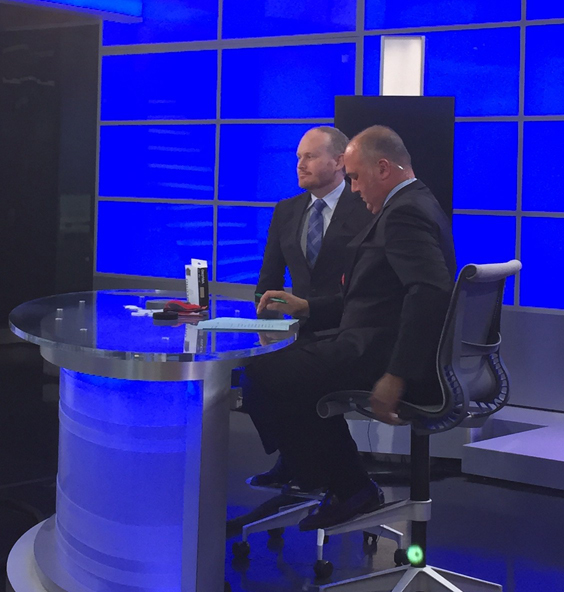 Boston, MA – August 3, 2015 – The Velcro Companies President and CEO Fraser Cameron conducted an in-depth interview for the New England Cable News (NECN) CEO Corner broadcast that focuses on the region’s highest ranking executives, their companies and career trajectories. Cameron spoke at length about the Velcro Companies’ New England heritage and its commitment to sustainable initiatives. He also illustrated how VELCRO® Brand solutions are found in nearly every industry and in every part of the globe. Cameron talked about the importance of innovation in R&D and product development and, as a key focus area for each employee of the Velcro Companies. Innovation is what created the VELCRO® Brand and what drives it forward. As one of the company’s first broadcast features in recent years, this episode celebrates the strong legacy and inventive spirit of the Velcro Companies. NECN is the largest 24-hour regional news network in the United States. It serves the six New England states and has received multiple awards of excellence from top journalism institutions across the country. Click here to watch this exciting segment.